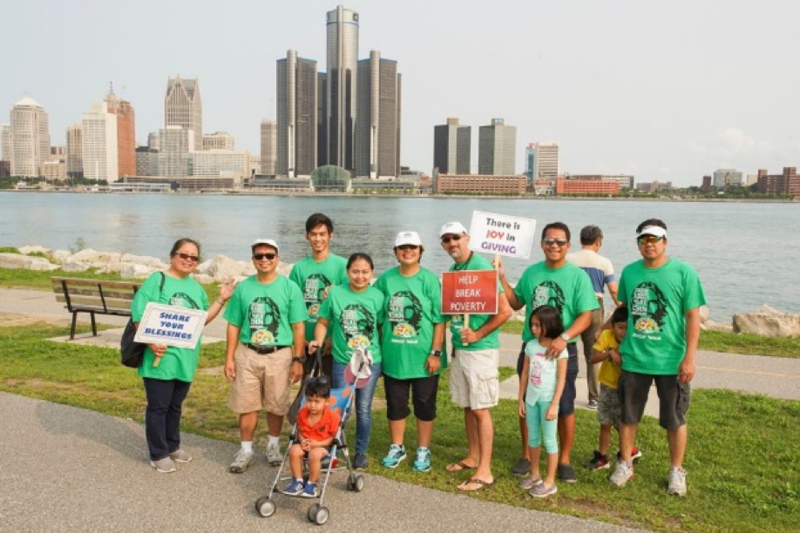 Early in the morning of August 19, 2018 Couples for Christ (CFC) Windsor’s 4th ANCOP walk commenced at Bert Weeks Memorial Gardens, Riverfront Trail along Riverside Drive in Windsor, Ontario. 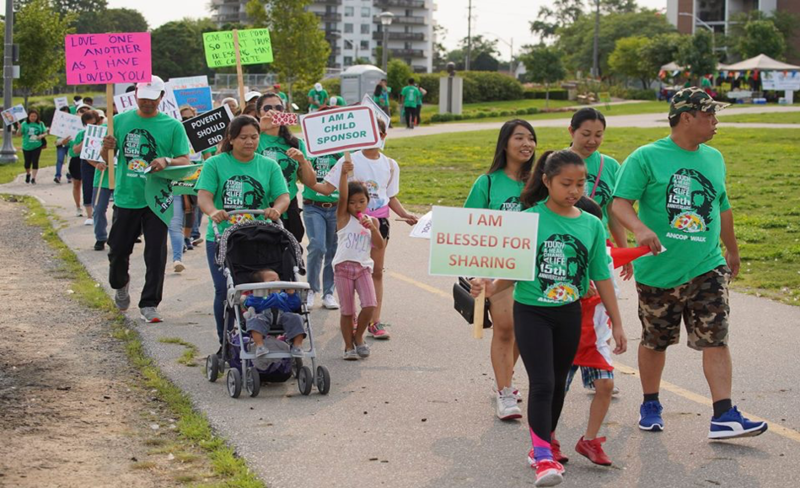 Responding to the call to be a brother, a sister and a neighbor to families who need caring and helping hands, CFC Windsor families, friends, and those who were touched by the call joined the 5 kilometer walk echoing the resounding voice of the cry of the poor and the marginalized. Bro. Ramon Alcancia opened the meaningful event by leading the Prayer, followed by the singing of Oh Canada. Bro. Enrique Sala, CFC Windsor Area Head inspired the group by mentioning the need to respond to God’s call by consistently assisting our brothers and sisters in need in Asia, the Pacific, South Africa, India and other places in the world where CFC have opened its various activities and ministries in serving our less fortunate families. Bro. Vic Mangaser, CFC Mission Head, voiced out the need to unceasingly continue to help our less fortunate brothers and sisters. Bro. 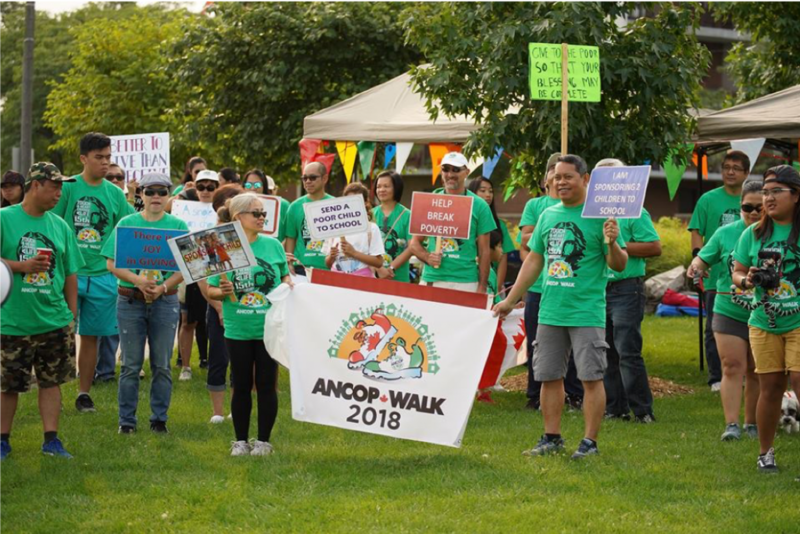 Felicisimo Asumen, ANCOP Windsor Coordinator, echoed the need to continue sharing and showing our concern to assist families in need all over the world, and thanked those who contributed in their own ways and who will participate and have participated in the walk. Before the walk proper Bro. 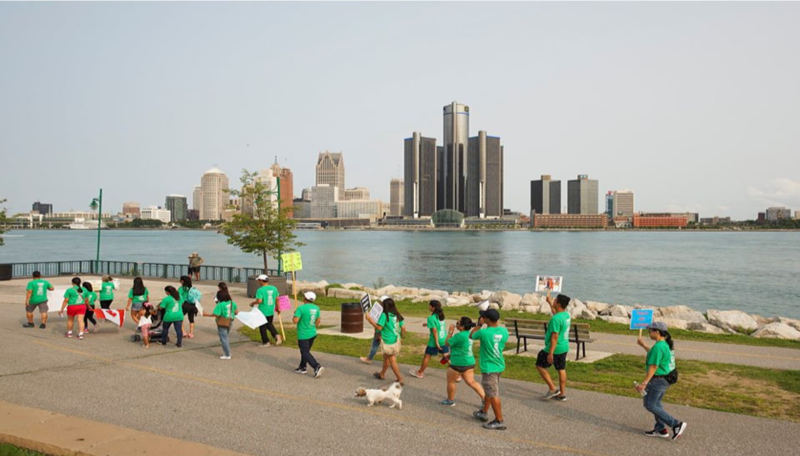 Ceasar Cahoy led the group in warm up exercises that woke up the fragile feet of the walkers and joggers. 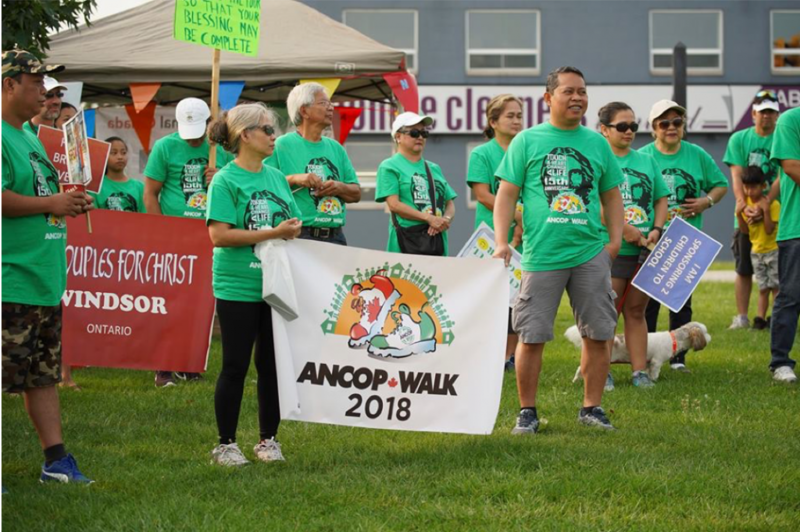 Couple Jefferson and Liezle Maramag led the walk by inviting everyone to join in the chant of ANCOP: Answering the Cry of the Poor and the various CFC ministries. 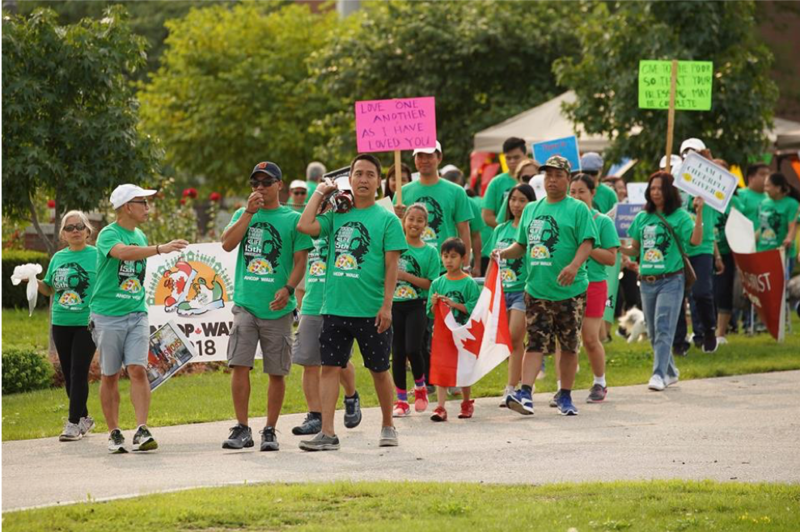 It is so heartwarming to hear the chant especially of the children and youth who joined the walk. 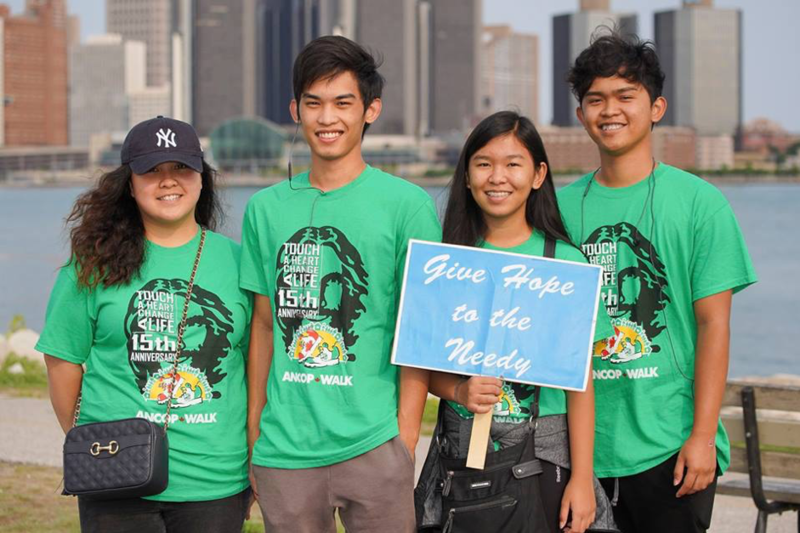 Their zest and joy in their own special and unique ways of participating in this activity will definitely make a difference. 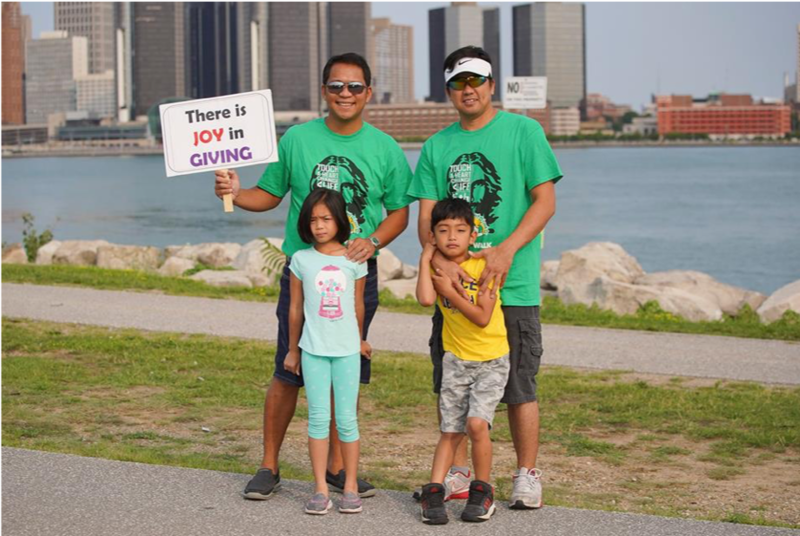 This is exemplified by CFC Yourh Leaders Martee and Marlo Lasala who enthusiastically took turns in taking pictures and video of the event. To add to the excitement of the event, couple Bro. Leudy and Sis. Dolor Torres randomly drew winners of Gift Certificates to Early Bird and prizes to friends of CFC who participated in the walk. Bro. Ronald Napigkit gave the closing prayer who noted that we offer the proceeds of our fund raising for God’s greater glory. 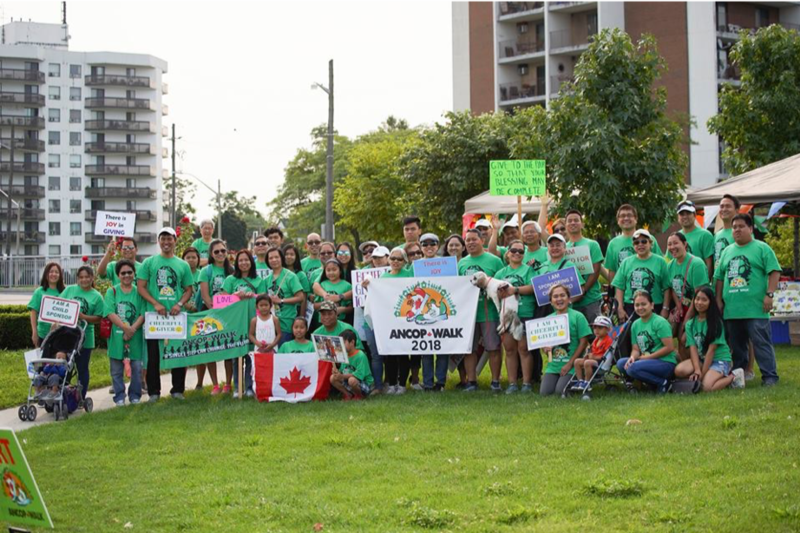 This event will not be complete without the generous support of our sponsors: TIM Horton’s, Shopper’s Drugmart (Ottawa), Food Basics (Goyeau), Metro (Central Mall), VISTA Print (Windsor), SNAPD Windsor, Hey Philippines, ANN’s Super Cut (Wyandotte), Ric Sala of Platinum Realty, LYNN’s Hair Stylist, and Parks and Recreation Office of the City of Windsor. 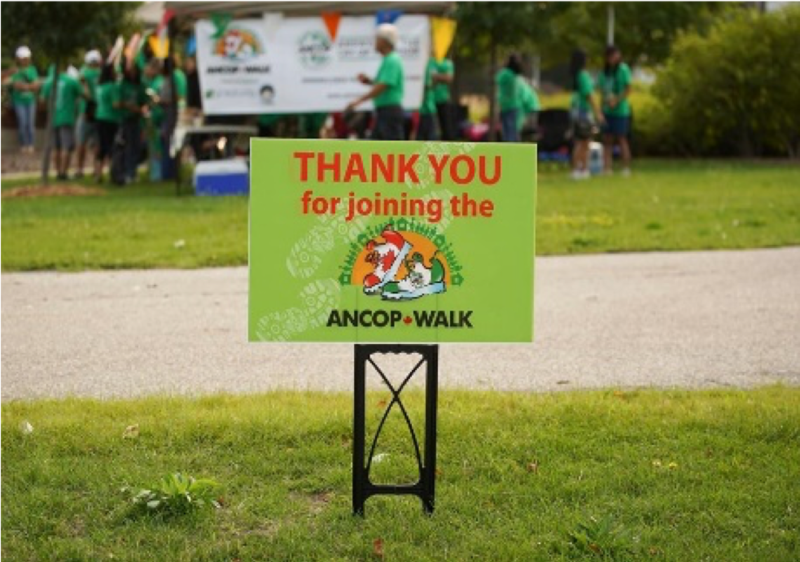 We would also like to extend our appreciation to those who contributed their time and effort in their own special ways. 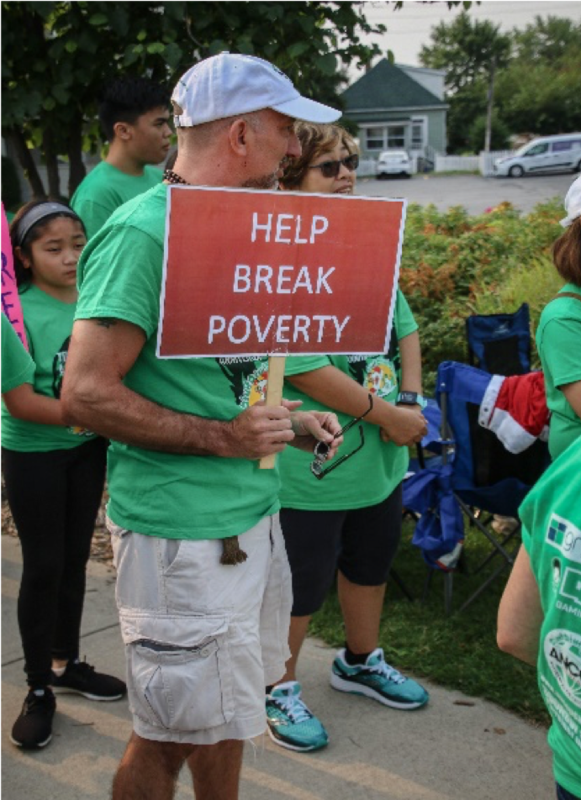 To all of our sponsors and friends who have and are continuously contributing to the cause and call to extend open hands, loving hearts, enthusiasm and joy in answering God’s call to be a brother, a sister and neighbor who cares and shares – THANK YOU. 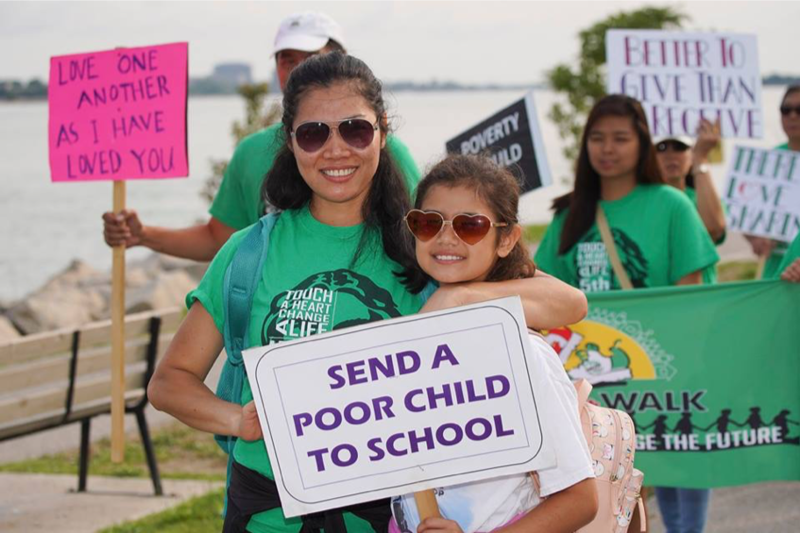 May we continue to respond to the resounding call of the cry of the poor and to be a neighbor to those who are in need.